It has a dry mellow maltiness that finishes very dry. 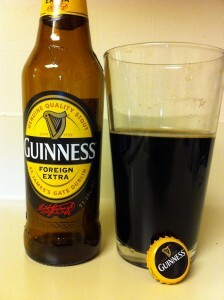 The flavor has a fuller body than the standard Guinness that everyone knows. It pours with mild head that fades quickly. The carbonation gives it a little crispness, which is very nice with the dry finish. At first, I didn’t enjoy this beer, but I think I really do like it. The dryness is what I like about it.